Electoral work is important. But the point isn't just to win office — it's to build movements and challenge capitalism. Yet elections have bolstered the socialist cause in recent years. The Democratic Socialists of America has seen its membership nearly quintuple in two years, and many of its growth spurts were tied to electoral results: Bernie Sanders’s primary run in the Democratic presidential primary, the shock around Donald Trump’s win in the general election, and most recently, the congressional primary victory of Alexandria Ocasio-Cortez. Electoral work can be frustrating. Campaigns force still-marginal socialist organizations to dedicate energy to candidates who very well might lose. Even those who enter office provide little guarantee they’ll successfully advance our agenda. But there are also candidates in the vein of Bernie Sanders, who run for office not just to get votes, but also to express a class-based political vision. It’s races like these that offer the anticapitalist left a unique strategic opening. Socialists should work with candidates who expressly acknowledge that capitalism is built to protect corporate profits, not those who produce goods and services. Their political demands should flow downstream from this analysis. We need candidates who are willing to fight for mass working-class demands highlighting inequalities in the distribution of essential resources: health care, housing, environmental safety, job security, wages, benefits, collective-bargaining rights, and education. This means a commitment to programs such as Medicare for All, a $15 minimum wage, tuition-free higher education, ending mass incarceration, a jobs guarantee, and protections for unions. These are the kinds of demands that can help heighten class contradictions and change the economic and political distribution of power. Importantly, this commitment means that we need to weed out candidates whose platforms do not help us fight for our goals. Many do-gooder liberal progressive candidates make proclamations about the ills of our society, and even speak in favor of issues we support. But liberals have often used vague sloganeering to be all things to all people. In fact, given growing public sympathy for socialism, opportunistic candidates may increasingly see socialist organizations as a source of resources or a means to brand themselves as the more grassroots, progressive option in primary races. It is all too easy for a candidate to speak in favor of health care for all, quickly qualified with a technocratic lecture on the “transition period.” Such flimsiness betrays a willingness to make concessions to the ruling class and the liberal center. These programs can be effective at recruiting a fleeting coalition to win an electoral race, but they offer socialists no means of strategic advance. 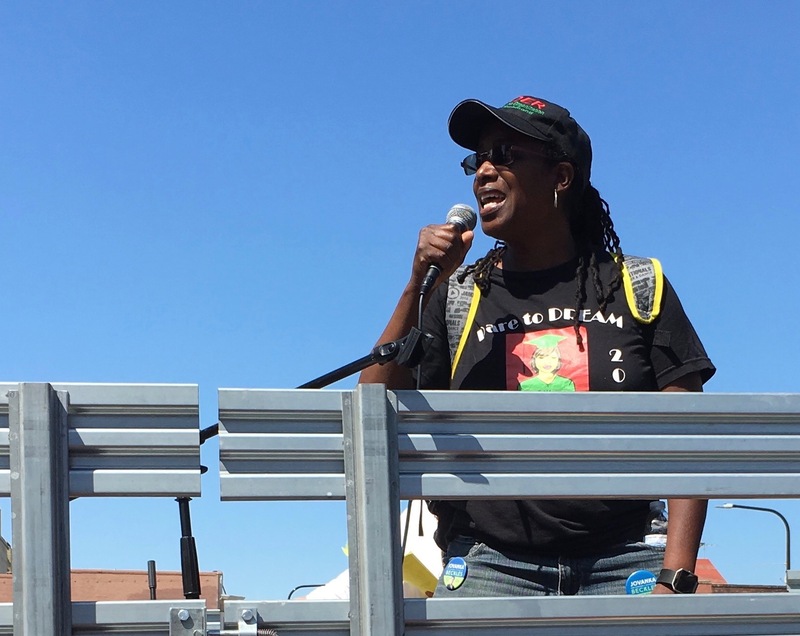 Consider the difference between California Assembly District 15 candidate Jovanka Beckles, who emerged from the Richmond Progressive Alliance, and her Democratic Party rival, Buffy Wicks. In their campaign platforms, both express concern about the housing crisis and support housing for all. While Beckles makes a series of clear commitments to expanding rent control — including voting “yes” on Proposition 10 to end Costa-Hawkins limits on rent stabilization — Wicks speaks ambiguously about a need to “fix Costa Hawkins,” a law that is working exactly as the real-estate lobbying interests that fought for it intended. Nothing in Wicks’s centrist platform speaks to the need to redistribute power away from the ruling class into the hands of workers. But more importantly, because the goal of Wicks’s campaign is to win office with the most tepid and qualified promises possible, it offers no opportunity to organize a constituency that would take challenging entrenched power structures as its purpose. Ultimately, socialists attempting to take power in the state need to use electoral politics not just to get into office, but also to build an institution that can effectively direct its political activity. Building a real political institution, a party or party-like organization, would mean returning to the model provided by the socialist workers’ parties of the nineteenth and twentieth centuries, all of which were guided by a program that explained why capitalist society was fundamentally unequal, a vision of how to reorganize it, and a list of concrete demands that offered a means to fight in the medium term. A mass movement that organizes — rather than gestures at — the working class will ultimately require such an organization. For decades, neoliberal American capitalism has been buttressed by a profound disorganization of the working class, yielding a system in which elites do not even have to consider its demands in their calculations. Socialists must begin to cohere a movement capable of reuniting the most powerful enemies of capitalism. Until then, we must continue to engage strategically in campaigns that demonstrate our commitment to taking power. Melissa Naschek is a member of the Democratic Socialists of America.